This post was inspired by my a dear sister of mine. I saw her tweets and it moved me to share my own views of the perception of beauty today. It got me thinking and I decided to write a post on it. This is probably my first truly personal post on the blog (I’ll be sharing some of my experiences). 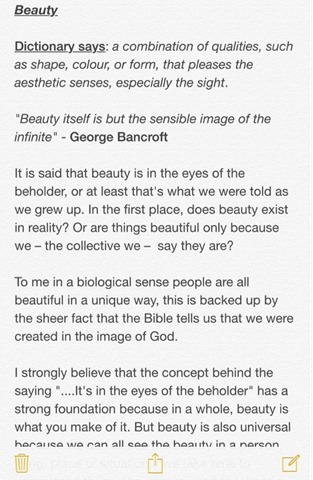 I hope it will bless you all and give you an insight into what beauty means. Grab a cup of tea and some hob nobs, and hope you enjoy the post. What does beauty mean to you? What comes to your mind when you think of a beautiful person? A face without no flaws or does it mean perfection. Does it mean having the curves in the right places, or does it mean being slim? the quality present in a thing or person that gives intense pleasure or deep satisfaction to the mind, whether arising from sensory manifestations (as shape, colour, sound, etc. ), a meaningful design or pattern, or something else (as a personality in which high spiritual qualities are manifest). a beautiful person, especially a woman. the concept of beauty (usually preceded by the). I wrote this blog post based on what I believe being beautiful is. My definition of beauty comes from what God says it is and just having confidence in yourself. You may ask why I am doing this, it is really personal to me. I grew up not feeling pretty enough until I became comfortable in my own skin. I would also like to encourage younger girls growing up that they are beautiful and are wonderfully and fearfully made. When I began writing this in my journal, I planned to write only from my personal experiences and what beauty meant to me. However, I decided to share this experience with others and ask people what beauty means to them as well. The reasons could have been long, short, spiritual, religious or inspired by anything. It could have even been selfies to express what beauty means to them. 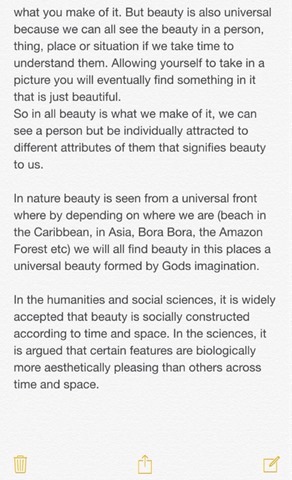 Below, I have included what people thought of what beauty means. “First of all beauty fades…outer beauty and appearance fades true beauty comes from within. Proverbs 31:30 Charm is deceitful and beauty is passing, but a woman who fears the Lord, shall be praised. Personally I believe my outer appearance is not enough to define my beauty. But if I search my heart and find that I have accepted the way in which God has created me it is then I will begin to see the beauty in me. The only time we can define beauty is when our heart matches our outer appearance. I believe I am beautiful not because of my face, my eyes, or my body, but I’m beautiful because I’ve accepted it in my heart that God created me in his own image and likeness. He makes all things beautiful and I count myself as one of those things”. “Beauty is an opinion and anyone can appear “beautiful” to you if you give them a chance”. “I think I am beautiful because of the fact I never give up, so the fact I can think of a million reasons as to why things won’t work but I am just courageous enough to follow through it. A lot of it has to do with inner and outer beauty. I think I am beautiful because of the fact that just like anyone I have been through so much but I consistently look on the bright side. I think I am beautiful because of how my mother raised me to be the woman that I am. I am beautiful because I have a lot of self respect. And I think I am beautiful because I am surrounded by so many beautiful people that gradually becomes a part of me”. “My reasons are simple God made me who I am and I believe that with or without makeup I am beautiful regardless. So why should I listen to other ‘human beings’ who may think I am not beautiful? Who are you to call me, God’s creation who made me….UGLY? What matters is that God created me not you and not any one else. 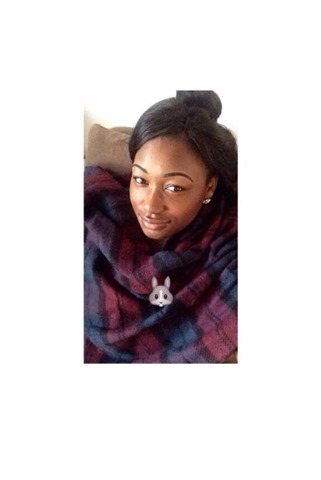 Therefore, I have learnt to embrace the truth that I am beautiful each time I wake up, smile, pray, eat and sleep”. 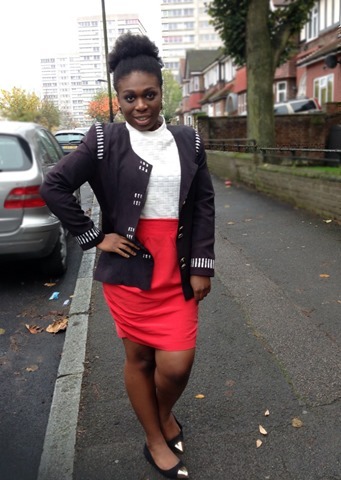 “I know I’m beautiful because I’m made in the image of God. My mummy says I’m beautiful too”. “I think beauty is a feeling rather than a look. The way you feel is the way people perceive you, like if you’ve realised when someone is beautiful and rude, their beauty immediately becomes irrelevant. So I feel like the way you feel, act, and perceive yourself all constitutes to how beautiful you are”. “I am beautiful because I love my baby face, my lips and cheeks. I love the fact that God made me in a way that delighted him but let us not forget that God measures beauty from within”. “I’d class it as the inner you, the honest core of you shining through your skin and affecting the outer core because I do believe our souls affect our appearance”. “I’m beautiful because God made this way and if he did then who am I (or anyone else for that matter) to argue? It takes practice to start believing that though and many years of dissatisfaction to even realise it”. “Personality, smile, confidence is what makes some beautiful. Not always about the outer appearance. AND YOU’RE BEAUTIFUL RACHEL”. Often beauty is seen in one way-that you have to look a certain way to be beautiful. That you have to be thin to be beautiful, that you have to have light skin to be beautiful, that your hair has to be a certain type to be beautiful. There is a ideal of beauty that it is forced down our throats by society, I find that if you do not meet its standards you are seen as ‘ugly’. I refuse to believe anyone is ugly. Everyone looks different, God created us intentionally that way. Beauty comes in different forms. It is not one standard. This is why I do not follow the world’s standard as is it ever changing. In some parts of the world beauty has different meanings. Obviously I do like to look at beauty trends (I am a woman after all) but what I am saying is I do not look to that as my standard. As my sister said there is, ‘Nothing wrong with having an appreciation for physical beauty, but just realise that is not everything’. My perception and definition of beauty is different to the world’s. Proverbs 31:30-Charm is deceptive, and beauty is fleeting; but a woman who fears the Lord is to be praised. 1 Samuel 16:7-But the Lord said to Samuel, “Do not consider his appearance or his height, for I have rejected him. The Lord does not look at the things people look at. People look at the outward appearance, but the Lord looks at the heart. Genesis 1:27-So God created mankind in his own image, in the image of God he created them; male and female he created them. Ecclesiastes 3:11-He has made everything beautiful in its time. He has also set eternity in the human heart; yet no one can fathom what God has done from beginning to end. What I love about God’s standard of beauty, that it is not ever changing. It remains the same throughout the ages. The bible says that the grass withers, flower fades but God’s word remains the same forever (Isaiah 40:8). This means many things will change, die, fade and go away but God’s word will stay the same throughout these changes. The same applies to beauty, the world’s standard of beauty changes all the time but God’s word remains true yesterday, today and forever. Your outer beauty may also fade, after all we will all grow old one day (I don’t know about you but I will still be fabulous when I’m eighty with all my wrinkles and grey hair). The point I’m trying to make is that outer beauty is not permanent, God’s word is. So your focus should be more on your inner beauty. Your beauty should not come from outward adornment, such as elaborate hairstyles and the wearing of gold jewellery or fine clothes. Rather, it should be that of your inner self, the unfading beauty of a gentle and quiet spirit, which is of great worth in God’s sight. This means that your beauty should not come from outside or what you wear but instead what is in your heart. God is concerned of the state of your heart, your inner beauty. Are you kind, selfless, generous, loving, humble, forgiving, patient, faithful and peaceful? These are some of the things that God considers to be beautiful in his sight. It is your heart which makes you beautiful. You can have what man says is the prettiest face but if your heart is full of hate and envy, what good is that? 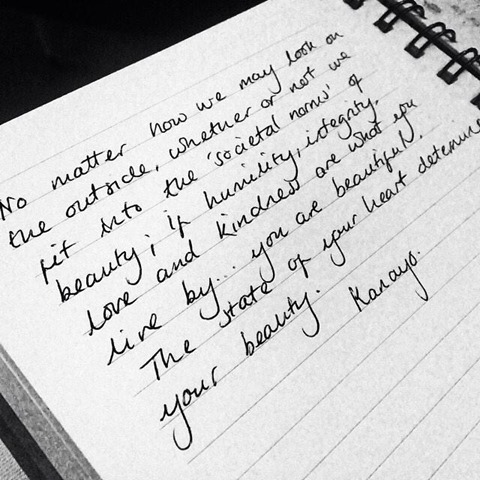 Why not seek to have a beautiful heart (inner beauty) as well as the beauty on the outside of you? Everything na double double *dances*, I call it double beauty blessings-having both inner and outer beauty. I know my beauty does not alone come from my Kurt Geiger heels nor my 24inch weave or even my make up but it comes from my heart. Have you ever noticed when someone who has a good heart, that light shines on their face and makes them beautiful? What is in your inside shows on the outside. God tells you that you are wonderfully and fearfully made (Psalms 139:14). This is my definition of beauty. It further adds in the verse that ‘your works are wonderful, I know that full well’. Everything God has created is wonderful from the trees, to the seas, to animals and to you yourself. Knowing that you are wonderfully and fearfully made, comes from believing it yourself. You are beautiful when you believe you are wonderfully made and know that God created you in this way. To say that God created me beautiful is not being vain nor is it being over confident or narcissistic. 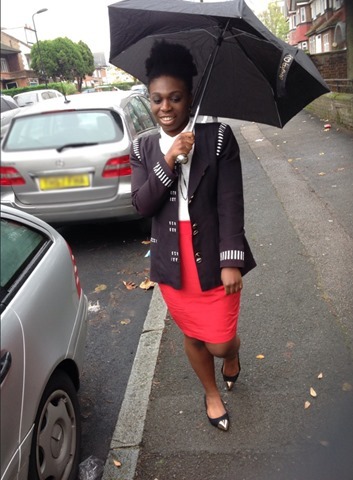 It is recognising what God has said- we are FEARFULLY AND WONDERFULLY MADE. There are days when I wake up and I’m not feeling great. But don’t we all have those days. We are all human. It’s okay. But I know and believe that I am still beautiful. You are beautiful. There are days when I’m struggling to fit into my jeans in the morning because the previous evening I had too much banku and tilapia. When someone calls me ugly or insults my appearance, I don’t have time for it because I know who I am. I know who God calls me. I know he created me. I know he calls me beautiful, my father God. I had struggles growing up, I disliked my physical appearance. I grew up in areas looking different to people. I didn’t appreciate my beautiful black skin, I wanted to be lighter and thinner (when I was young I used to be chubby lumpkins). People would make horrible comments about my lips and my bum, I just didn’t want to be me. They would laugh at me and make jokes and I would feel so ugly. 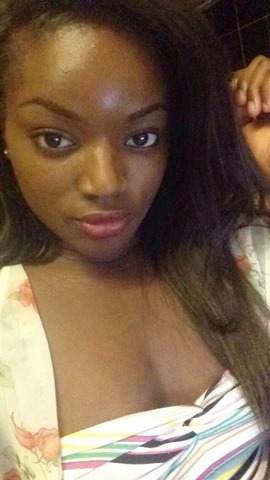 They would ask me why my bum and lips are big, like it was my fault that I had those features. I would ask God why he gave me big lips, why couldn’t he make my lips small. Funny enough, the same people who made jokes about me back in primary school now idolise people like Kim Kardashian. Some are now wearing bum pads and distorting their pictures to make it look they have a large behind. It’s funny to me, because late last year Vogue said “Big Butts” are in because of Jennifer Lopez and Iggy Azalea’s song. When women with “Big Butts” has always existed. Similarly, now big lips are in too, all because of Kylie Jenner drawing on her lips to make them appear bigger. When they always have been in. I don’t see how big lips can be a trend when so many people naturally have that feature. Have they all of sudden forgotten that there are many women who naturally have big lips? Next thing you know, big noses which they call ‘unbeautiful’ will be ‘in’. If you always follow trends, you’ll always be unhappy. Love your freckles, love the gap in front of your teeth and love your dimples. Why change what makes ‘you’ you? Why would you want change yourself to look like another person? When there is only one of you on this earth. There was this guy that I liked and he claimed that he liked me. He told me that he did not like women with big bottoms, he preferred women with a large chest (I have kindly paraphrased his words). He always use to make comments about my appearance, he said he was joking. Obviously I did not fit into his description of what was beautiful to him. I used to pretend not to get upset at his comments all because I liked him. Looking back now, I think why did I allow him to make me think so lowly of myself. How did I let another judge upon my beauty and tell me what beauty is? Do not allow another person to determine your beauty. Do not wait for a man to tell you are beautiful. Do not rely on the world to tell you are beautiful. Speak to your soul and tell yourself you are beautiful. A man when he loves you, will not insult your appearance, he will not make you feel bad about yourself. He will love all of you-your flaws and your strengths. 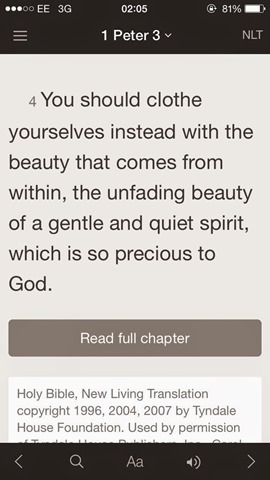 He will appreciate both your inner and outer beauty. There is beauty in love, love is beautiful. If you find yourself seeing ‘ugliness’ in your relationship then there is no love there whatsoever. What do I mean by ‘ugliness’ in a relationship? It is whatever love is not. If it causes you pain, then it is not love. If it is abuse, then it is not love. If it makes you have low self esteem, then it is not love. It is always nice to look good, everyone loves to make an effort regardless of whether you like to admit it or not. The question is who are you are you doing it for? If you are doing it to please man, then you’re in the wrong. Beauty comes within, it is for you, not another. Do it for yourself. When you’re beautifying your outer beauty, make sure it is for yourself. In relationships, so many believe people that you have to make yourself look good for your partner. Yes, I believe that too but make sure it is for yourself first. When you want to lose weight, lose weight for yourself. When you want to add on weight, do it for yourself. Who are you going you gym for? There are days when Auntie so and so will comment on your weight ‘Oh, Rachel why have you lost so much weight’ or ‘Oh, Rachel you have put too much weight on try to cut back okay’. Then I’ll think long and hard of whether to eat the galaxy chocolate bar or not. I came to the realisation I will eat the galaxy chocolate bar. Why? I am happy with my weight. If I wish to lose or add weight on, it will because I have decided too. I will step on and off the treadmill, when I want too. Not because others have said too. If I am healthy and happy with my weight, what else matters? I remember I told a friend of mine when we were back in secondary school how beautiful she looked. She told me no one had ever told her that. I was shocked. I told her girl you do not know how stunning you are. She has such a lovely inner beauty and a gorgeous smile. A friend of mine, felt too dark to be beautiful. Another friend of mine wished she was not skinny and wished she was curvier. There are pressures in society to look a certain way, that we blame the media for. Yes, some of it is created by the media but sometimes we have to look at ourselves. Why do we as women (this also applies to men) put pressure on people to look a certain way? Why do we tell women that the only way to be beautiful is if they have a large behind? Why do we tell women that the only way to be beautiful is if they are curvy? Why do we tell women that the only the way to be beautiful is if they are skinny? Beauty comes in all sizes and shapes. Whether you have an athletic built, a skinny frame, an hourglass or a pear shape you are beautiful. No matter what shape you are, know that you are beautiful and celebrate yourself. Why do we put women against another? Why do we create light skinned vs. dark skinned? 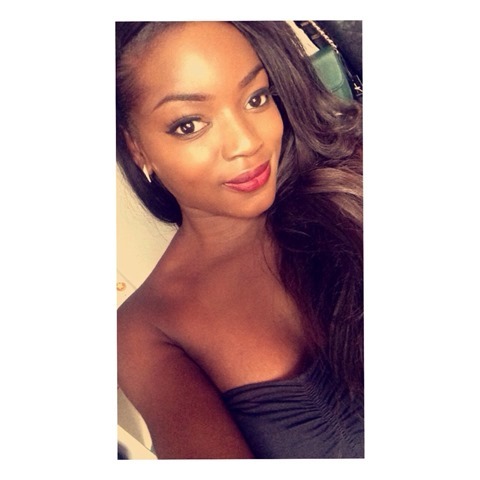 How many times have you heard that horrible phrase ‘you’re pretty for a dark skinned girl’? Why do we create silly stereotypes based off a light skinned girl’s appearance? Why do we create fat vs. skinny? Why do we create the notion that the colour of your hair determines your intelligence and your beauty? It took me a long time to see, that God created me beautiful, he created me in his very own image and his very own hands. This means if I am I created in his very own image, I am a reflection of him (I am beautiful just like my father God is). It was only after studying the word for a long period of time that I came to see, that it is very much an insult to call yourself ugly or someone else. God doesn’t like ugly. All that he created was good in his sight, no where does it say what he created was bad in his sight. He created you with his very own hands. So many feel compelled to conform to the world’s standards of beauty and therefore do not think themselves good enough. My sisters and my brothers too, do not think your physical attributes are not good enough. God says you’re more than enough! You are more than just what is on the outside, there is your inner beauty. I will not allow any standard to reduce my self worth when I have the best standard to look up too. I love all of me. I love me from my 4c hair all the way down to my size 5 and 1/2 feet. P.S Thank you to those who shared their opinion of beauty and what it means to them, God bless you. It is not too late to share your views on what you believe beauty is, I will include it in the post. To do so you can email me at renaissanceideal@yahoo.com. Or if you wish you can share your views with me on Twitter (@RaeDosoo), Facebook (www.facebook.com/renaissanceideal) and Instagram (@renaissanceideal). Hello *waves hand*. It has been a long time since I have posted. I’ve been very busy with law school, so that has kept me away. 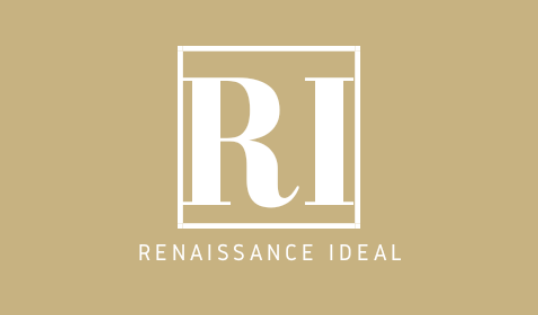 I’m back now and expect regular posts from Renaissance Ideal’s usual posts from Politics, Law, Fashion, Poetry, Faith, Business and much more. I took these photos a while ago, on a miserable raining day in November. 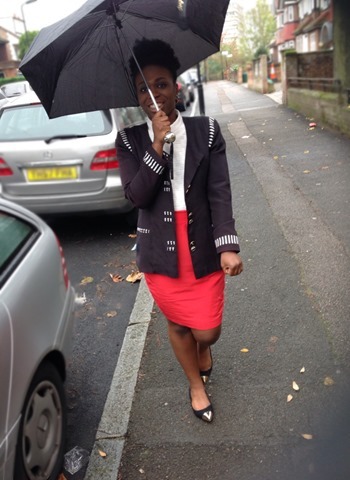 I find that wearing a smile on a rainy day makes it all better (and a fab outift helps too). The weather was lovely on the weekend but today was miserable. I love mixing old and new pieces together. 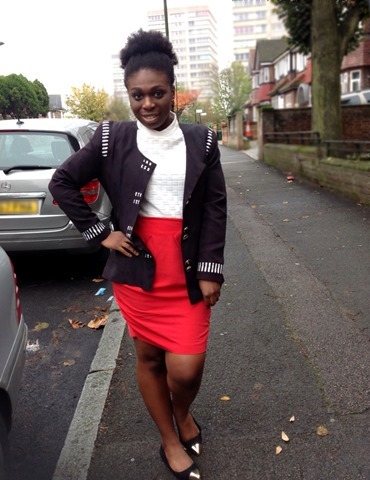 The blazer was my mum’s and now its mine haha. I love it because it has subtle shoulder pads with white and black stripes. It makes a ordinary black blazer unique. 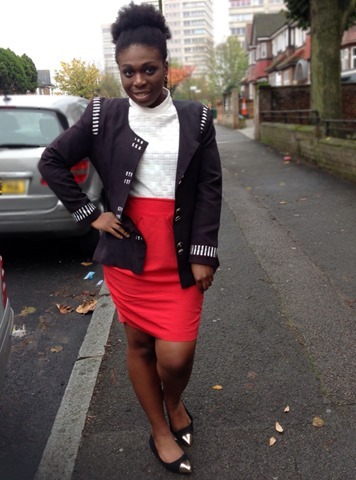 The white polo neck top, is actually a short sleeved crop top that I tucked into the orange-red skirt. The gold capped shoes are one of my favourite flats-it is simple and elegant. 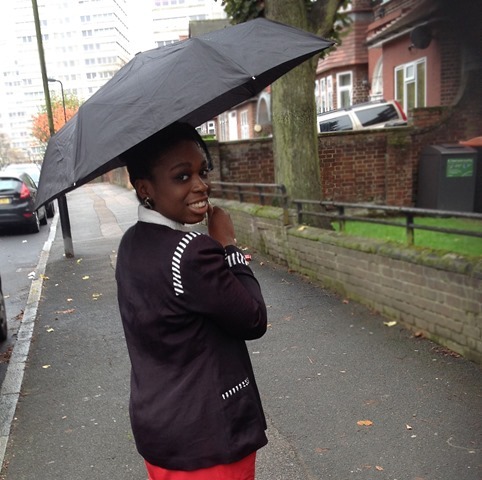 It even matched my accessory of the day, the umbrella.